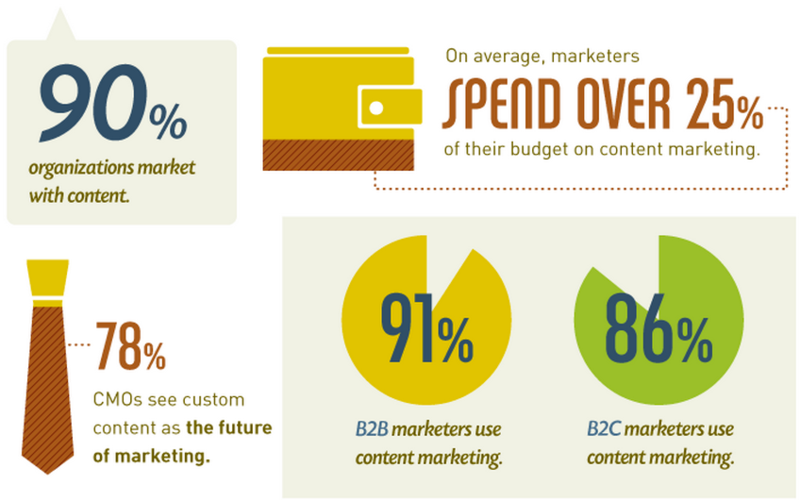 With 2016 quickly approaching, content marketing is in full motion. Demand Metric’s study shows that 90% of organizations market with content and 78% of CMOs see custom content as the future of marketing. Content isn’t a trend; it’s the future. What differentiates an article that gets shared endlessly from a seemingly ‘greater’ post that’s never to be found? The answer is in your head (literally). There are 3 powerful psychological triggers that cause us unpredictable humans to become a little more predictable. And I’m going to show you how you can apply these triggers to make your next piece of content a hit. Who doesn’t like to look good? Whether you’re the tech informant or foodie of the group, you share things that further amplify your title or elicit some kind of positive response. People like the attention they get when telling a funny story or feel proud when they hear the ‘oohs and ahhs’ when sharing about their latest success. The fact is people would rather share things that make them look good over pieces that could taint their reputation. By narrowing down your target audience, it’s easy to identify the kind of content that makes them look good. For example, if your target audience is mothers who are against sleep training, embed hard research that will help amplify their beliefs. Social currency affects buyer intent. 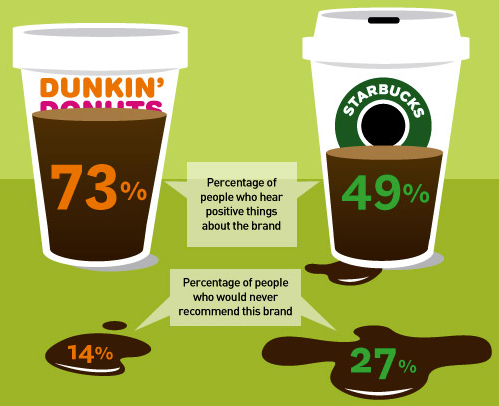 Take a look at what Americans think about their coffee. It’s no secret that the DIY education market has had exponential growth over the last 5 years. In 2011, there was an estimated $35.6 billion spent on online education. The e-learning industry blew up to a $56.2 billion industry in 2014 with expectations to double in 2015. We live in a DIY era and providing practical value via content marketing is key to getting more social activity. But it’s not just about providing a learning resource. It’s about providing incomparable value through your evergreen guides that catalyze hyper-actionable results. All of these articles have lots of images, a dense word count and a good chunk of social stats. You can quickly assume that longer articles with images induce sharing, but that’s not it. They all provide step-by-step guides where readers can walk away with something ridiculously practical that can be applied in their marketing strategies. Create your next piece to be epic compared to the competition out there and promote it until the sun goes down. How many times have you walked out of a movie and thought: that was the most mind-blowing thing I’ve ever seen! 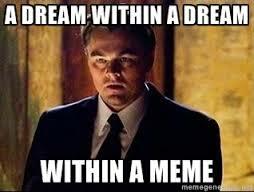 The first movie that comes to mind is Inception. Spoiler: a dream within a dream. Boom! If they hadn’t watched it 3 weeks after launch, something was seriously wrong with them. And it wasn’t just me. Everyone who had had a conversation about movies thought the same thing about these outsiders. They texted everyone on their contact list in search for another alien who hadn’t seen the greatest movie of 2010. Social proof is one of the most powerful influences in today’s society. When searching for a restaurant, we look to Yelp. Before purchasing a product, we look through Amazon reviews. We are a society that relies on the input of others. The key to creating social proof is to have your brand integrated deeply into the root of your products or services. 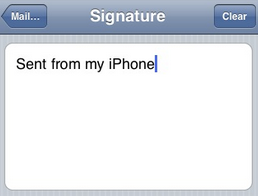 Here’s how Apple does it. Integrate your brand into your products and services. Don’t do it the other way. There are way too many resources preaching different tactics to grow your business. The last thing I want is this write-up to be another hyped up dream sell. As content marketers, we create valuable content with the intent of turning visitors into customers. I’m not Harry Houdini and I doubt you’re David Copperfield. These triggers aren’t magic, but they do help amplify social sharing which expands your reach. While social currency, incomparable value and social proof act as powerful psychological triggers; there is something much more important than these. Create your content to align with your business goals and most importantly, to resonate with your target audience. With this in mind, apply social triggers to grow your brand, expand your reach and dominate your niche.